We are your source for high quality, hand-crafted Renaissance, Medieval, and Fantasy clothing appropriate for SCA, LARP, Weddings, Renaissance Festivals, Theater and more! Whether you are strolling around the Faire, planning a Medieval wedding, or dancing around the fires at Pennsic War, we create apparel that will take you back through the ages with timeless grace and beauty. 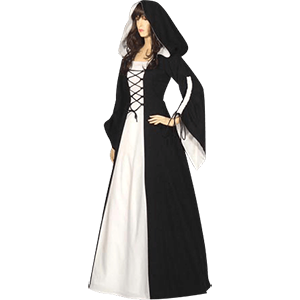 In our medieval and renaissance clothing category you will find men and women clothing that has everything from jerkins, tunics and surcoats to bodices, chemises and medieval dresses. We have medieval and renaissance shirts and hats that come in a variety of styles, shapes, sizes and colors. To keep you warm during that cold medieval faire we have medieval cloaks, capes and robes. Finally we have period footwear like leather boots, suede boots and dress shoes to keep your feet warm and to add the final touches to your medieval outfit. Shoes have been a staple of civilization for hundreds of years, if not for thousands of years. From the lowliest of serf to the most elegant of nobility, everyone has basically always had some sort of footwear available to them. And here at Dark Knight Armoury, we have available for your purchasing pleasure a number of boots and period shoes that are certain to perfectly accent your chosen look whatever it may be. You will find pirate boots and gothic boots here, as well as Steampunk shoes and medieval footwear of all shapes and sizes. 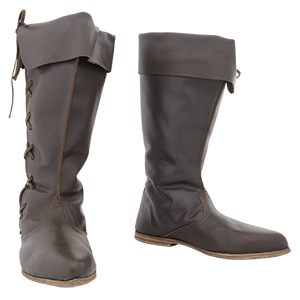 Boots are always a great choice and we have several different styles of medieval boots available for men, women, and children, and if you are not going for a medieval look, we have plenty of pirate boots, gothic boots, and Steampunk boots to fit your needs as well. And that is not even counting all of our other footwear. We have Roman sandals of all sorts, medieval shoes fit for peasants, soldiers, and princesses, and even Steampunk heels for almost any occasion! Almost all of our shoes are made from suede, synthetic leather, or real leather, and every piece is a quality item that is great for fair wear not to mention great for reenactments, costumes, and other themed events. Virtually all of our boots and period shoes are fantastic for completing a variety of outfits and looks, so do not think for a second that we do not have what you might need. Kick off your shoes and glance through Dark Knight Armourys boots and period shoes, because you might find something that is better then what you already have. What does a bodice or corset actually say about a woman and her outfit? Well, at Dark Knight Armoury, words like sleek, stylish, and sultry come up quite often in reference to our womens bodices and corsets. Our bodices, corsets, and cinchers come in a variety of styles and serve a variety of purposes. Bodices are great for adding character to virtually any look, be it regal or peasant, whereas our corsets and cinchers are great multi-purpose items that can be worn either over or under your clothing. Over your clothing, a corset or cincher makes a great fashion statement for medieval or modern styles. Under your clothing, a corset or cincher can still offer an additional level of support and shaping. Either way, a bodice or a corset is an ultra-stylish and attractive addition to almost any look, be it medieval, Renaissance, pirate, Steampunk, gothic, or even modern. Our womens bodices and corsets go great at all manner of events, including Renaissance fairs, SCA events, and themed events and parties. Just because you are going to dress in medieval or Renaissance fashions does not mean you have to be uncomfortable. Ladies, pick up one of Dark Knight Armourys medieval and Renaissance chemises add that traditional look and shape to your medieval or Renaissance outfit without sacrificing any level of personal comfort. A chemise is basically a shirt worn next to the skin, often used as a sort of undershirt or shift for women in medieval or Renaissance styled fashion. We have full length gown chemises, waist length chemises, short sleeved chemises, bell sleeved chemises, long sleeved chemises, and all manner of other styles and color options. Chemises can be used as a classic undershirt, or can be paired with a bodice or corset for a classic pirate wench look. You can even wear our chemises off the shoulder. It really just depends on how sassy you are feeling! Nothing quite compares to a really good cape. Except perhaps a really good cloak or robe, but really, they are all quite similar, so they might as well all count for the same thing. And lucky for you, Dark Knight Armoury carries a fantastic number of attractive and appealing cloaks, capes, and robes. Perhaps one of the most appealing aspects of a nice cape or cloak is that if you have done your work correctly, a cape is an easy addition to add to any outfit. You just buy one and affix it in place, either by tying it in place or closing it with a brooch. Each of our capes is a top quality garment. Many of our capes, cloaks, and robes are made from fabrics like cotton, velvet, or twill. 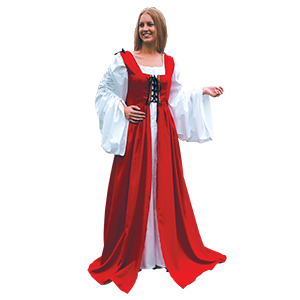 And since they are available in a variety of medieval, Renaissance, and fantasy themed styles, there is assuredly a cape, cloak, or robe that fits your look and need. 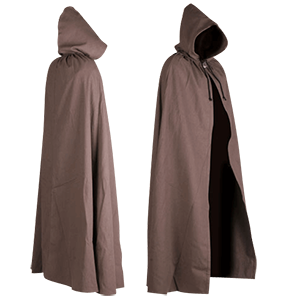 A plain cape goes great with almost any medieval look, where as any one of our knightly capes and cloaks, like our crusader capes, Templar cloaks, and Hospitaller cloaks, all compliment a knight or warrior wonderfully. We even have Spartan capes, wizard cloaks, and Jedi robes if you can believe it! Basically, here at Dark Knight Armoury, we like variety, and for that reason, we carry a variety of medieval, Renaissance, and fantasy themed capes, cloaks, and robes. Why? Because you really cannot beat a good cape, cloak, or robe. Our growing selection of clothing accessories has the extra pieces you need to perfect medieval, Renaissance, gothic, and steampunk looks. Shop here for medieval aprons, sleeves, and leg wraps to add authenticity to historical costume, lace veils for a delicate addition to any outfit, and a variety of gloves that can help bring your look together. These medieval and fantasy outfit accessories are essential when it comes to creating a unique look. Shirts, pants, skirts, blouses, and dresses are not all you need to create your outfit. Be sure to keep checking back, as we will add new clothing accessories as they become available. Want to look incredible without having to worry about matching every piece of your outfit perfectly? Let us help you with our selection of complete outfits for men. 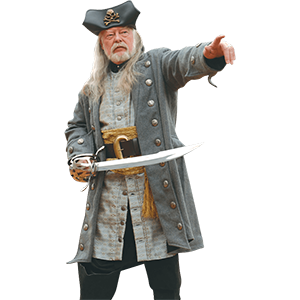 Here you will find mens medieval, Renaissance, steampunk and pirate outfits that are ready-to-wear to your next event. Shop medieval tunic and pants sets, wizard cloak and robe sets, and pirate captain clothing bundles here. Whether you are seeking the easiest way to start off your Renaissance festival look or an effortless medieval or fantasy outfit for reenactment, cosplay, or theatrical wear, be sure to shop all our complete mens outfits to find the ensemble that will work best for you. Let us help you start your Renaissance fair outfit or find a ready-to-wear ensemble for your next special event with our selection of complete outfits for women! Whether you want to dress as a steampunk duchess or a medieval country maiden, you can effortlessly get a complete look with the options here. Shop medieval, Renaissance, pirate, steampunk, and other fantasy outfits here for reenactment, cosplay, theatrical performances, and more. 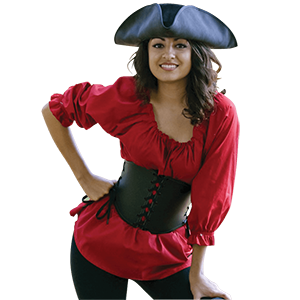 We offer two-piece and three-piece steampunk ensembles consisting of dresses, blouses, bodices, and pants, as well as womens pirate outfits for captains and wenches alike. Our fair maiden ensembles and Celtic skirt and bodice combos are ideal for any number of occasions. When you want a complete outfit along with the ease of getting every piece at once, be sure to take a look at the options here. With styles that range from full length noblewomens dresses to fun modern gothic gowns, our range of historical, fantasy, and alternative fashion dresses cannot be beat! Shop here for all our dresses and gowns in historical, fantasy, gothic, and steampunk styles. We offer an incredible range of dresses, from pleasantly peasant to queenly styles. Find everything from Viking apron dresses to impressive carnival gowns here, as well as fashionable gothic dresses and steampunk corset dresses. Check out romantic gothic high low dresses, gothabilly dresses, and lacy taffeta dresses here. No matter the silhouette or style you are looking for, you are sure to find a dress for your next night out, Renaissance fair, or reenactment here. If your historical or fantasy outfit features a skirt or dress, give it the proper shape of your chosen era with our hoop skirts, bum rolls, and bustles. Essential for many medieval, Renaissance, Victorian, and Baroque fashions, we carry everything from petticoats and panniers to cage skirts and pettiskirts that go well with steampunk, goth, and other alternative fashion dresses. Add stylish volume to full skirts and gowns with our A-line petticoat, or go all out with our impressive Civil War hoop skirts. Our layered, organza, and mesh petticoats bring volume and a touch of vintage charm to shorter, more modern styles as well. When you choose to wear a dress or skirt, be sure you wear it to its full potential with the proper underskirts, hoop skirts, and petticoats here. Whether you are dressing in historical, steampunk, or even gothic style, enhance any look with our jackets, doublets, and vests. We offer a range of these wardrobe essentials made in various styles and with different cultural inspirations. Check out medieval and Renaissance doublets that are made of everything from twill and canvas to satin and velvet. Here we offer historical outwear for both peasants and kings, as well as pirate coats, Baroque frock coats, and Victorian dress coats. Add class to steampunk, Neo Victorian, or romantic gothic styles with our vests, or craft an appealing historical look with a canvas or wool jerkin. This category includes vests and jackets for both men and women. No matter your occasion, character, or personal style, you are sure to find something that will suit your look here. What is a kilt, exactly? Originally, the kilt was a traditional piece of attire for men and boys in the Scottish Highlands, which is why kilts are most often associated with Scottish heritage. Kilts eventually fell out of style as a common garment, although in recent years, the Scottish kilt has been making a slow but steady comeback, not only as fair attire but also as an alternative for men to wear on a daily basis. The Scottish kilts offered here at Dark Knight Armoury are recreations of the historical kilt. They are pleated in the back, although we have sewn the pleats for your convenience, and they also come in a variety of tartan patterns. We even offer a few examples of the great kilt, which was the forerunner to the kilt as it is known today. 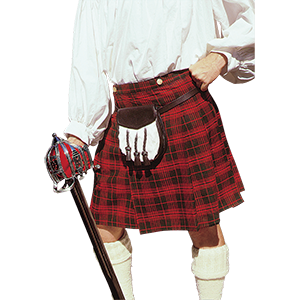 Today, Scotsmen and non-Scotsmen alike can enjoy a nice kilt. They can be worn in celebration of Scottish holidays and heritage, as a part of a costume for a fair, or just because a kilt is actually pretty comfortable. From adventurers and peasants to noblemen and beyond, pants are kind of a necessity. Shop here for all our pants, breeches, and tights for both men and women that range from early history and Viking Age styles all the way to looks of the Renaissance, Victorian era, and beyond to pirate, steampunk and even gothic fashions. 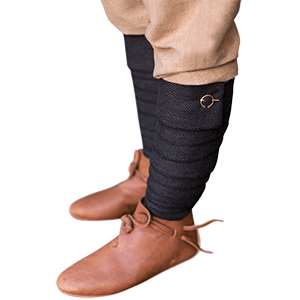 Check out pants, breeches, and trousers for every class of the Middle Ages and Renaissance, including peasant pants, canvas trousers, and noblemens short breeches made of materials like brocade and velvet. Medieval hosen are a staple addition to almost any reenactment or historically-inspired wardrobe. Explore the world of steampunk in airship trousers, suspender pants, Jodhpur pants, and bloomer shorts. For pants and trousers for all types of characters, be sure to take a look through this category. Accenting a pirate outfit or adding extra class to a steampunk look? Then you have come to the right category! Here we offer sashes, scarves, and cravats in styles that range from the medieval era and Golden Age of piracy to Neo Victorian alternate timelines. Shop here for gentlemens cravats, lacy jabots, and steampunk aviator scarves, as well as linen, cotton, and tasseled sashes that work perfectly for any number of characters, but most particularly pirates. Many of our sashes can be worn as headbands, waist sashes, bandanas, or scarves, so the possibilities are really endless. Every wardrobe could use a versatile sash like the ones we carry here. And our cravats, scarves, and jabots work well with a wide variety of tops, including, but certainly not limited to, steampunk dress shirt and vest combos. 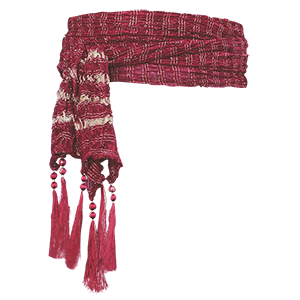 If you are looking for an easy way to bring new life into your historical, fantasy, or alternative fashion outfits, you have got to check out our varied selection of sashes, scarves, and cravats. Dark Knight Armoury offers an incredible range of shirts for historical reenactments, Renaissance fairs, and pirate events, as well as shirts in steampunk and gothic fashions. This category has historical and alternative fashion shirts for both men and women who are looking to create a unique look. 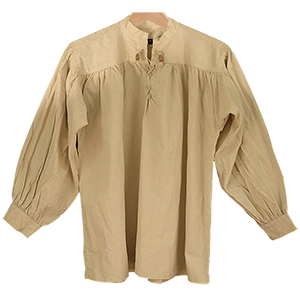 We carry a large number of historical canvas and cotton shirts and blouses in authentic medieval styles, including peasant blouses with drawstring necklines and lace-up mens medieval shirts. 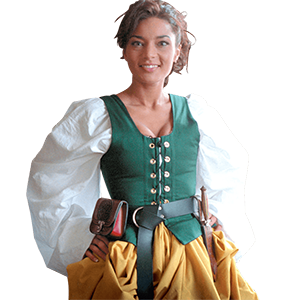 We offer ruffled and lacy Renaissance shirts for members of nobility as well as fashionably slashed sleeve shirts for Landsknecht mercenaries. Be sure to check out our steampunk dress shirts and blouses fit for airship adventures and Neo Victorian parties, as well as quintessentially gothic tops and blouses for dark fantasy and romantic vampire looks. A good medieval or Renaissance styled skirt from Dark Knight Armoury is an absolute must-have for any womans historical and fantasy wardrobe. These womens skirts are nothing if not exceedingly versatile, not to mention incredibly attractive. 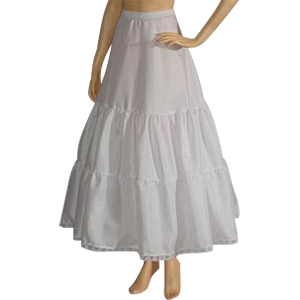 Here in the womens skirts category, you will find all manner of different skirts which are designed to be worn throughout countless different periods and styles of clothing. 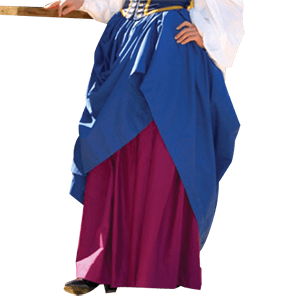 We have skirts that are perfect for the swashbuckling pirate ladies, just as we have skirts that are perfect for a traditional tavern wench. From peasantry to nobility, we have womens skirts that fit into every strata of medieval and Renaissance society. And that is not even considering that a good skirt has near limitless possibilities. You could just wear one skirt alone with a chemise or a bodice or you could combine two skirts to create a layered look. You can also wear a skirt under an open front dress. Skirts can be worn with one of our excellent petticoats or hoop skirts to create a full bodied, regal look. You can mix and match skirts to virtually any other piece of attire in your wardrobe and create a near infinite array of incredibly beautiful and historically authentic styles. The limit is only the confines of your imagination. You will also find a number of accessories in this category that work with skirts, like skirt hikes and bustles, which help to add depth and style to any appropriate look that involves a skirt or two. If you do not have a womens medieval skirt in your wardrobe, then you are sorely missing out on an exceedingly versatile garment. Remedy that problem immediately by checking out Dark Knight Armourys selection of womens skirts and picking out a couple of your favorites. Start putting together intriguing and attractive new looks today! If you are looking for a way to represent historical, fantasy, or gothic style in a casual, modern way, check out our t-shirts and hoodies. Here we offer an incredible selection of casual clothing, including long sleeve shirts, sweatshirts, jackets, and tank tops that will help you do so with ease. 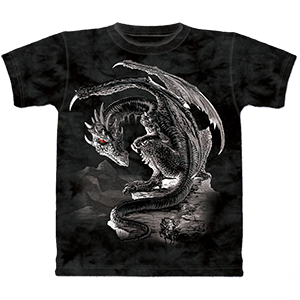 Shop gothic and fantasy graphic t-shirts and long sleeve shirts as well as stylish gothic tank tops, gothic graphic button-up work shirts, and fantasy graphic hoodies to proclaim your unique interests as part of your everyday wardrobe. We carry fantasy and gothic casual styles for men, women, and even children, so you can easily outfit the whole family in casual fantasy clothing from our unique t-shirts and hoodies selection. Shop here for all our tunics and tabbards. 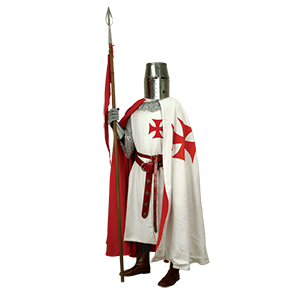 Staple items in medieval and Renaissance wardrobes, we offer an incredible selection of these essential garments at Dark Knight Armory. Many of our historical tunics are available in fabrics like canvas, cotton, and wool to provide an authentic look and feel to your reenactment, LARP, or Renaissance fair outfit. Tunics are great additions to any outfit, and we offer both long and short sleeve styles, as well as both long and short tunic lengths. 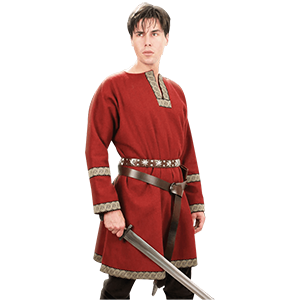 Whether your character is a peasant, archer, adventurer, nobleman, or even a king, we have a tunic that will work for you. Our historical tabbards are fantastic over-garments to add to your look. Inform everyone of your allegiances with a tunic in the colors of your kingdom or embark on a crusade with our Templar tabbards. All our tunics are ideal for creating knightly looks or simply adding interest to your reenactment outfit. When it comes to creating your own unique medieval, Renaissance, Viking, or fantasy look, you have got to take a look through our tunics and tabbards section. Before you head out to your next Renaissance fair, reenactment event, or steampunk adventure, be sure you have the right headwear for your look! We carry a multitude of hat, hood, cap, and crown styles in both historical and alternative fashions. Shop archers hoods, floppy hats, Tudor caps, wool cowls, and medieval bonnets for historical or fantasy LARP, reenactment, or theatrical costume wear. Our high quality steampunk hats are ideal for topping off Neo Victorian looks, and our pirate tricorns are ready to take on high seas adventure! We also carry a selection of high quality feathers so you can literally wear a feather in your cap, too! 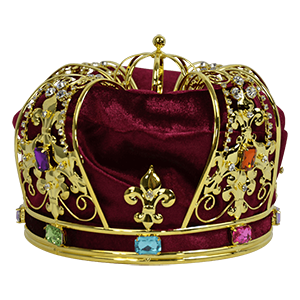 For those of a royal nature, we offer an excellent selection of kings crowns, queens crowns, and princess tiaras to help portray noble personas. Whatever type of headwear your outfit calls for, we have it here in our hats, hoods, and crowns category. Thank you very much for your quick responses and replies to my questions. Excellent Customer Service. Thanks again.